We are thrilled to bits that one of our favourite ever albums is Number 1 in the official album charts this week. ‘LOVE AND HATE’ by MICHAEL KIWANUKA. We wrote and recorded the strings for this album in September 2016 and the whole process was one glorious collaboration with Michael and producer INFLO. 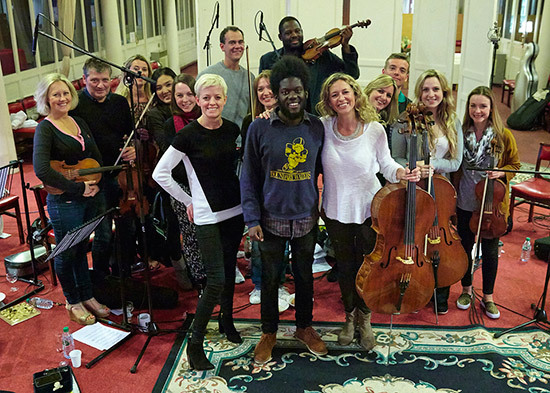 Rosie Danvers, Michael Kiwanuka, INFLO and Wired Strings at St Mary Magdalena Church in London, 2015, after recording “Cold Little Heart’.